Should servers be tipped in Australia? - Nisbets Australia Blog - Industry news, trends, recipes and more! How much should you tip in Australia? Do Australians tip at all? It’s a question for the ages, and is always on the mind of travellers heading to the country, so let’s look at the facts and settle this once and for all. Yes, some Australians tip. But it’s not expected and some would say it’s not entirely necessary. Americanisation has forced its way on the world, but many Aussies want to resist the implementation of a tipping culture. Of course, it’s great for hospitality workers if patrons choose to tip. In the US, front-of-house restaurant staff are notoriously paid an extremely low salary. They’re paid 2-3 dollars an hour, and it’s expected (demanded) that diners supplement that with tips – usually around 20%. Such is the tipping culture over there, it’s not uncommon for you to be insulted by staff if you leave a tip they deem to be too small. In Australia however, workers are paid around $17 an hour. This is because a minimum wage is mandated on hospitality pay. Therefore workers are not dependent on tips because they make a decent salary, so they’re given at a diner’s discretion – usually only for excellent service. How much should Australians tip? If you’re in the mood, generally, 10 to 15% is considered appropriate tipping etiquette. This is not set in stone of course, but it’s a decent amount to leave as a gratuity if service has been great all night. Do workers keep their tips? 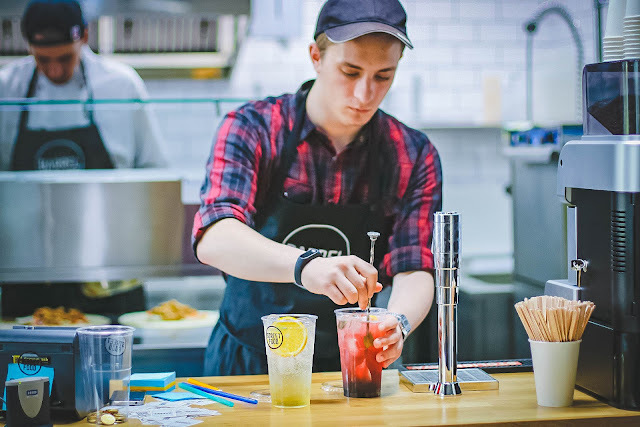 This has been a controversial subject after it was reported in 2013 that business owners across Melbourne and Sydney were keeping tips left for their employees. It’s not a legal requirement for customers to tip (after all, they’re paying anyway for food and service) but it’s illegal for restaurants to withhold tips intended for servers. This can be hard to police, especially if staff aren’t even aware of the tip in the first place, so it’s down to the ethics of the restaurant and the manager on shift. Sometimes the servers pool their tips and divide them up at the end of the night, which can make for a fairer distribution of tips to include kitchen staff. If a server has been handed cash personally by a customer they may, however, choose to keep this for themselves. This pooling method can become trickier to manage with the increasing amount of card payments for tips as technology speeds up the pay process. A simpler, classic method for pooling is the tip jars. With growing technology nowadays, paying for a meal is easier than ever. Tap and Go has become increasingly prevalent, and in 2016 it was reported they accounted for 25% of all transactions. An option to tip has been included after hospitality staff bemoaned a reduction in tips, said to be as high as $250 a week, after the introduction of quick card payments. Now it’s common to see a screen prompt offering a chance to leave a gratuity. How Aussies will react to this on-the-spot prompt remains to be seen! In some restaurants tips are included into the bill in the form of a service charge, particularly if there is a large group of diners that requires extra attention from staff. According to the Australian government’s website, service charges and other non-voluntary tips are “consideration for the supply by the restaurateur”. This means the tip won’t necessarily go to the service staff. Giving cash tips on top of this is completely unnecessary. A quick Google search on the subject will tell you tipping isn’t a popular practice here. Workers are well compensated and a widespread tipping culture could potentially see de-regulation of hospitality minimum wage, much like America, where diners are expected to pay wages rather than employers. However, if diners are treated well and a server goes above and beyond, there is no harm in leaving a few dollars as a gratuity – it’s certainly welcomed but never expected or demanded. Whether American culture and the rise of the liberal Millennial generation brings a change in Australian tipping practice remains to be seen.